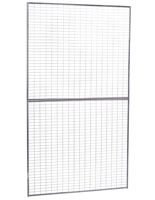 This dual leg gridwall support base is designed to coordinate perfectly with our AD series of heavy duty wire mesh grid panels. 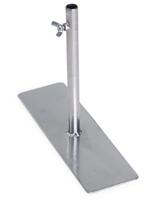 Each sturdy art or poster display accessory features wingnut adjusters for tool-free assembly and disassembly. 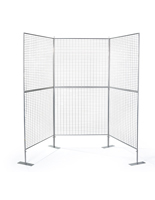 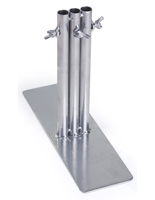 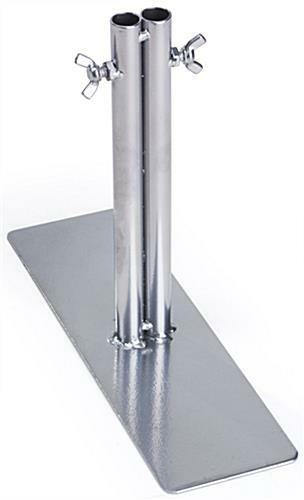 The two-leg gridwall support base's pole style design has a wide flat plate that provides stability. 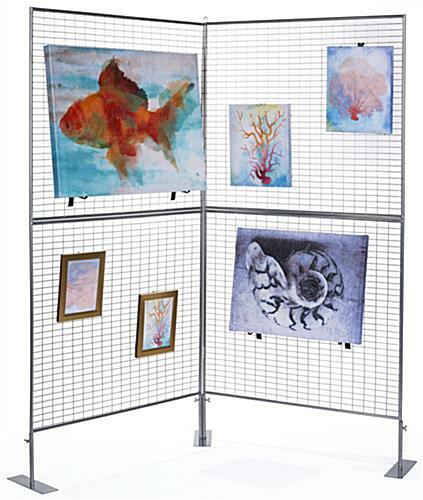 Designed to stabilize freestanding grid racks, this graphics display accessory is a superior choice for creating a stable poster display from 2 panels. 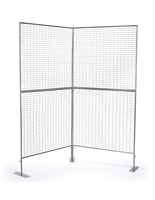 Each gridwall support base is 8" tall and requires no tools for assembly. 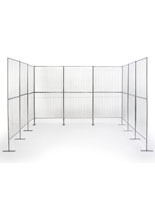 The silver finish grid rack accessory is made from durable iron for maximum stability.